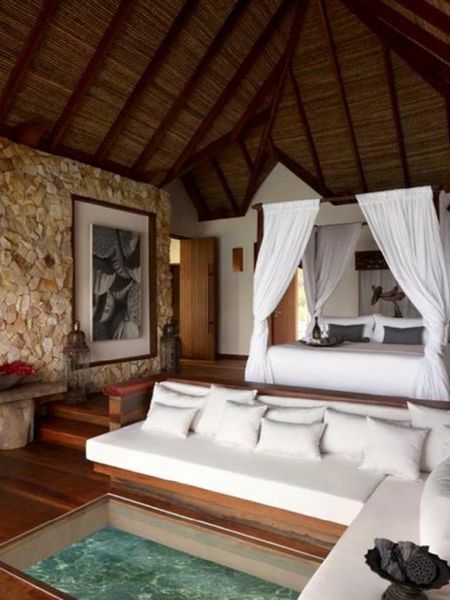 Having opened to discerning travellers in early 2012, this ground-breaking resort is setting new standards in environmental responsibility and indulgence. The resort spans two discreet islands, known locally as Song Saa – a Khmer name meaning “the sweethearts” – and is as intimate and seductive as the name implies. It features 27 luxury beach, jungle, and over-water villas, each with its own private pool overlooking the warm sapphire waters of Gulf of Thailand. At the resort’s heart is a world-class restaurant and lounge, spectacularly positioned just off the island’s shoreline and surrounded by the sea. Guests can also enjoy similar picture-book views from our large infinity pool that straddles both east and west sides of the island. For those looking for even deeper relaxation, we offer a variety of massage and indulgent body treatments at our spa and wellness centre. Alternatively, if it’s rejuvenation you need, our yoga and meditation centre on the resort’s eastern shore offers various programs to refresh the body and inspire the mind. Or, for the more adventurous, a host of offshore experiences await you at more than 20 nearby deserted islands. In keeping with the spectacular beauty and heritage of our surroundings, we aim to set a high environmental precedent. We are committed to conservation and community programs, ensuring the protection of the natural environment, while simultaneously supporting the needs of local people. Song Saa is just one hour’s flight by private plane from Siem Reap, or 30 minutes by speed boat from the city of Sihanoukville, making the resort a remarkably accessible yet uniquely remote property. 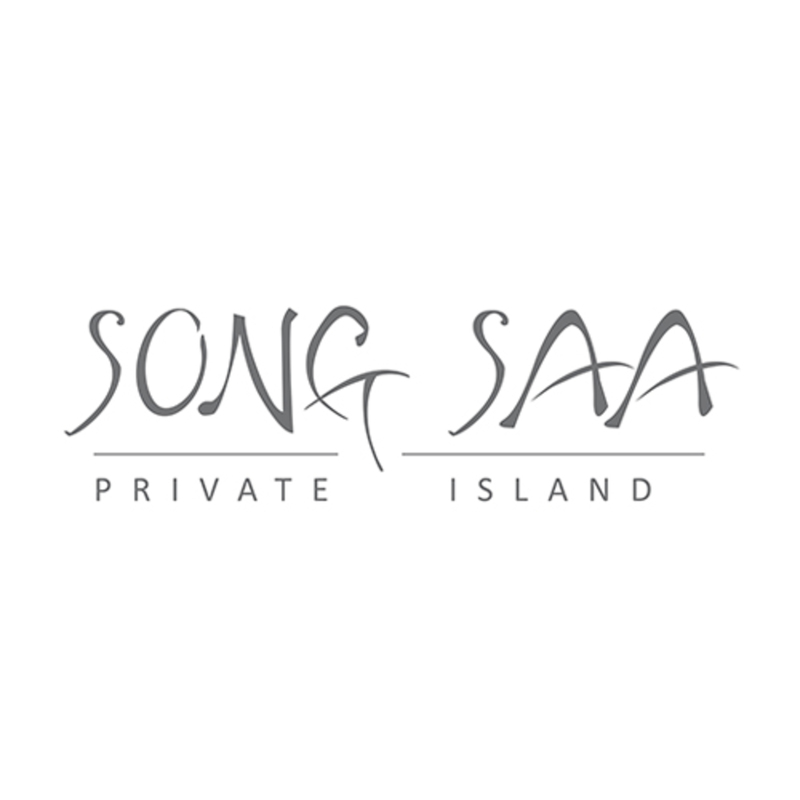 We look forward to welcoming you to Song Saa very soon. Rory and Melita Hunter’s desire to create a sustainable sanctuary of uncompromising luxury has underpinned their entire married life. 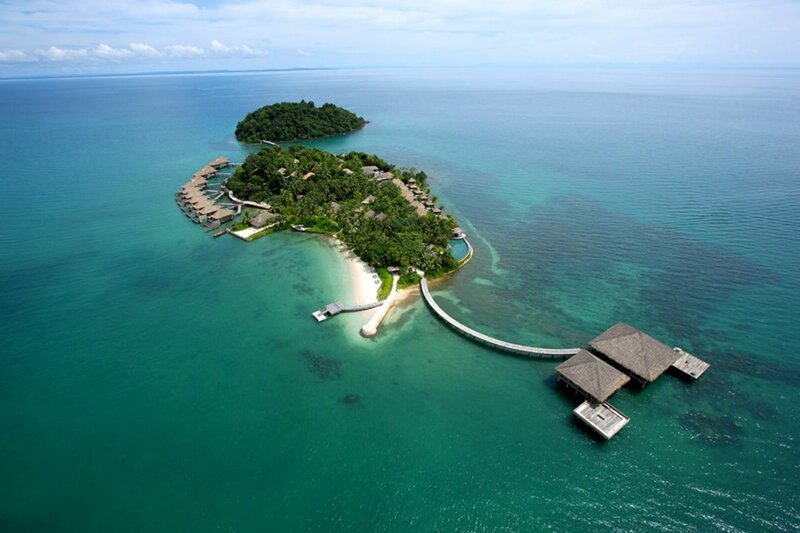 In fact, the concept behind Song Saa Private Island was born the day the couple returned from their honeymoon. After getting married, they spent some time on the islands and fell in love with this remarkable tropical environment with its pristine beaches, rainforests and vibrant communities. So when the opportunity to create something spectacular in this part of the world came up, they jumped. 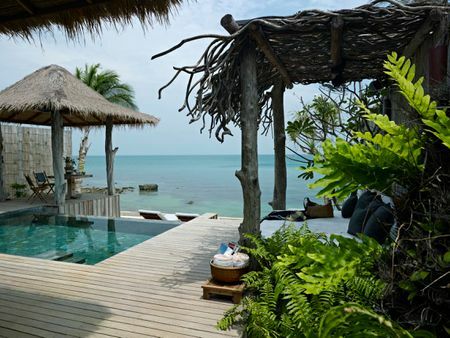 Since then they’ve broken new ground in Cambodia, becoming the first to develop a private island and setting new standards for sustainability, community development and luxury accommodation in the still undiscovered Koh Rong Archipelago. Melita is the creative mind behind the resort’s architecture, master planning and interior design. She has drawn on her experience as an interior designer and artist who specialised in organic sculpture to create an oasis that seamlessly blends interior spaces with the panoramic natural beauty of Song Saa. Rory brings a wealth of experience as a successful property developer and marketing executive to his role as Chairman of the resort. His strategic vision has ensured Cambodia has a presence in the luxury island resort market that will never compromise its environmental integrity. Rory and Melita are now firmly focused on a prosperous future for their paradise found, and on building new opportunities for the communities that surround the twin islands. 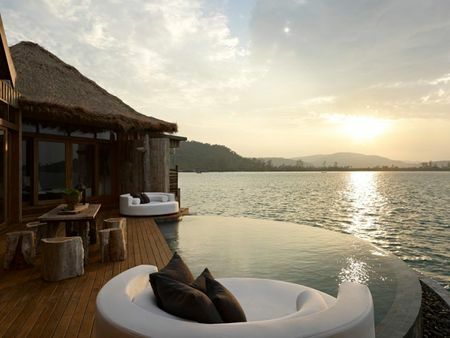 They are also looking ahead for new opportunities to bring their vision of world-class sustainable luxury to other parts of Cambodia and Southeast Asia. 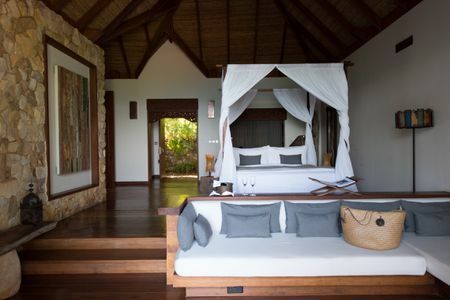 The two bedroom jungle villa measures a total of 301 square meters. Features include a fully equipped kitchen, a bar area, indoor dining, two twin vanity bathrooms, over-sized sunken bath tubs, walk-in wardrobes, lounge area, outdoor terrace with day beds, private pool (33 m2). 99 year sublease hold, Owners are entitled to 30 days usage a year for friends and family and a percentage of future returns. No additional Management fees. large infinity edge swimming pool spa and wellness sanctuaries positioned in the rainforest and along the shore yoga and meditation centre on the shoreline, ideal for yoga at sunrise water-sports such as Scuba diving, kayaking, snorkelling, and boating fascinating ecological program to experience the area’s flora and fauna an exclusive island boutique featuring designer labels from around the world, luxury body care products, and local art works.